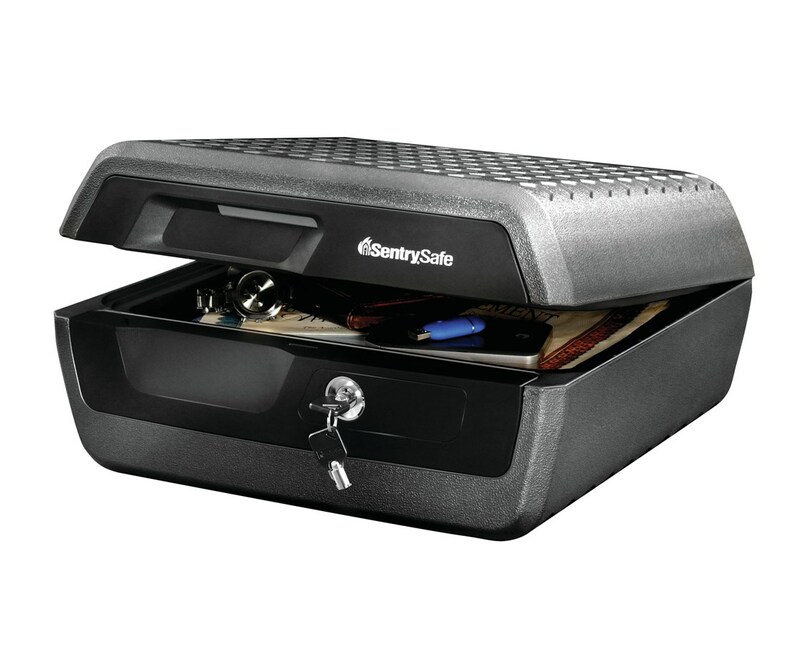 The SentrySafe Large-Sized Fireproof Chest With Tubular Lock is a fire and water resistant chest with a capacity of 0.36 cubic feet. It uses a tubular key lock to protect its contents from prying eyes. 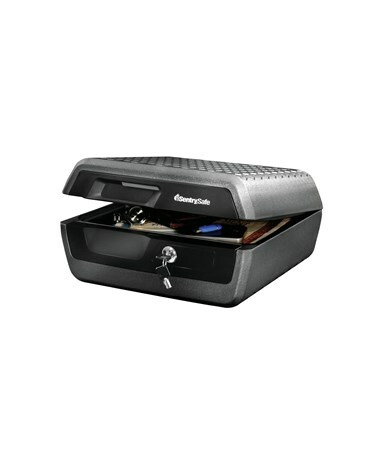 It can hold letters and A4 size paper flats and is capable of protecting USB drives, CDs, DVDs & portable hard drives. This chest can last 30 minutes in a fire of up to 1550°F and can be submerged under water, which is for protection against flood. It also has a mounted faceplate and rugged body design. This fireproof chest is ETL verified and Underwriters Laboratories (UL) testing certified, which make it good in the unpredictable conditions of fire and flood.